Bath prop Beno Obano is set to be sidelined for up to 12 months following a hamstring injury that he sustained during the recently conducted training camp of England. The 23-year-old was called-up by England boss Eddie Jones for the camp in Brighton but following a strain in the hamstring, he immediately underwent scans and now is set to undergo a lengthy rehabilitation period. 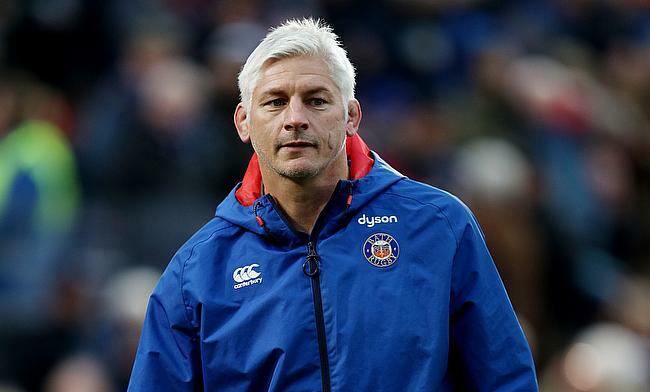 Bath director of rugby Todd Blackadder expressed disappointed on the news but believes Obano will bounce back hard from the setback. “Beno went for a scan this week and after consulting with the specialist, will undergo surgery to help repair his injury. This will then be followed by a lengthy spell of rehabilitation,” he said. “We are all feeling Beno’s disappointment – it’s been a breakthrough season for him. It’s upsetting to see that he will miss this chance to show his class at an international level, especially on the back of picking up two end of season club awards. However I am sure he will be back in the frame in the future. “We know Beno will do everything he can to get back on the pitch and in the blue, black and white as soon as he can. Whilst this type of injury is complex and can lead to a 12 month lay-off, we are investing in our medical team over the off-season and we are focused on getting Beno back as soon as possible." Blackadder also confirmed that a cover for Obano will be named ahead of the 2018/19 season.